First of all, we all know that aluminum foil is a kind of very popular packaging materials, rolled from aluminum metal. Aluminum foil features: non-toxic, with excellent thermal conductivity and shading performance; moisture, airtight, fresh. Aluminum foil, aluminum foil composite materials, aluminum materials. Aluminum foil composite material is the most common aluminum foil tape. Aluminum foil tape is a high-grade packaging paper, it can replace a large area of ? ?Dian Hualv hot stamping, product color, not only improve the grade of the product, but also improve the value-added products, widely used in high-end goods trademarks and packaging. 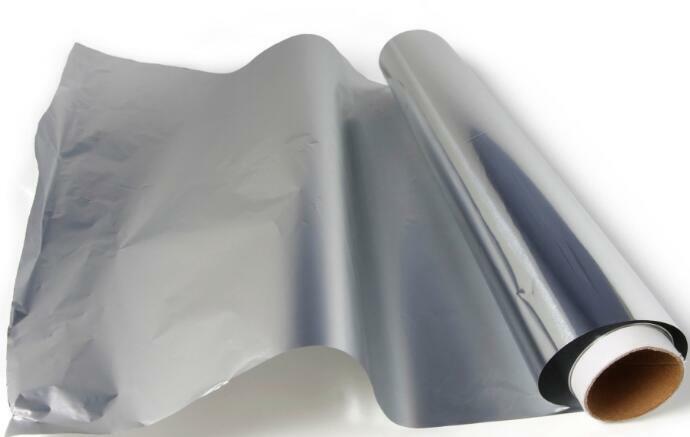 Aluminized paper in some developed countries has been as a new environmentally friendly materials, widely used in product packaging, in the country has become a development trend. Composite aluminum foil mainly by the paper-based (aluminum foil backing), aluminum foil, coating and other components. Aluminum foil backing paper: is a high demand for processing paper, the quantitative range of 21 ~ 50 g / m2. First: with a smoother surface, is not conducive to the transfer and absorption of ink. Aluminum foil layer structure is tight, the surface almost no gap, do not have the paper as the absorption and permeability. Therefore, the contact material, solvent and moisture in the ink layer after printing can not be absorbed and remain on the surface of the aluminum foil, which affects the initial drying speed of the ink layer, resulting in imprinting stickiness. Second, the aluminum foil due to the surface of the aluminum foil layer and the density between the paper, the strength and stability of the physical properties of the larger difference between the two properties of different materials together, the expansion rate is inconsistent, vulnerable to ambient temperature and humidity The effect of curling. Tagged aluminum foil, aluminum foil paper. Bookmark the permalink.